In keeping with the season, today’s song is called “Autumn Leaves”, a 1945 Jazz standard composed by Joseph Kosma. Originally it was a 1945 French song “Les feuilles mortes” (literally “The Dead Leaves”) with music by Hungarian-French composer Joseph Kosma and lyrics by poet Jacques Prévert. Many recording artists covered this song but it is best known by Frank Sinatra, Nat King Cole and Miles Davis. Nat King Cole’s recorded version was the theme song for the 1956 movie, Autumn Leaves, starring Joan Crawford. Eric Clapton also recorded a version for his 2010 album. 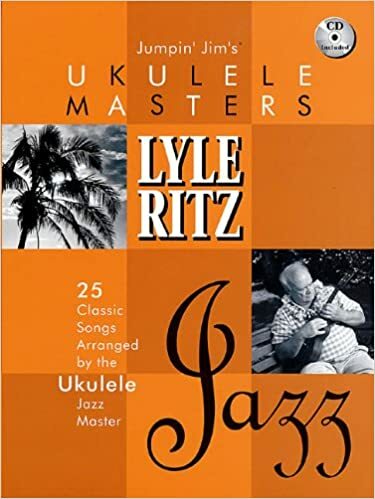 In the Ukulele world, it is best known by jazz artist Lyle Ritz. 🙂 This book compiled by Jim Beloff features this astoundingly talented “god of jazz ukulele”, and includes the sheet music and jazz chords for “Autumn Leaves.” Otherwise, you can find the soprano version for it at the Dr. Uke website. http://www.doctoruke.com/autumnleaves.pdf and the TAB for the soprano arrangement is from the San Jose Uke Club website: Autumn Leaves soprano TAB. I actually found the version for Linear tuning, or Low g, which is my preference, at the BUG (Bytown Ukulele Group) website. There wasn’t a TAB for it so I had to write it out myself. I’ve been sick with a cold and then a lung infection – coughing non-stop!!! it seems – for about a month, so this was one way to spend the time. I would like to give credit to who ever wrote out the lyrics and chords for it but there was no name, so the best I can do is to acknowledge the Ottawa-based BUG group for providing it on their website. There’s no Intro so you can vamp on Am or come up with your own. I prefer to use Dm instead of D6 in my version, but play which ever one you prefer: AUTUMN LEAVES and Autumn Leaves TAB.